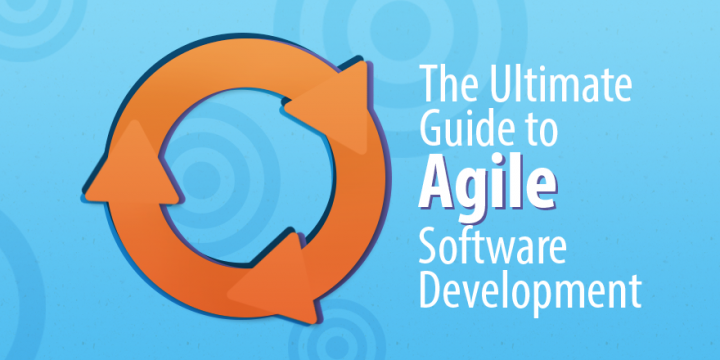 This article originally appeared on Capterra: The Ultimate Guide to Agile Software Development. Project management is a complicated field; there are a plethora of methodologies, software options, team member roles, and expectations that vary, not just within organizations or industries, but across the entire field of project management itself. There’s rarely a process improvement claim that the project management community doesn’t scrutinize. From emphasizing extroversion versus introversion for project manager personalities to which project management software is best for the business, there’s rarely agreement on anything. One trend, however, has been growing since 2015 and earlier: Agile project management use is on the rise (and it’s great for software development!). With all the emphasis on agile customization, or Scrum vs. Kanban, or any other project management methodology quibbles, it’s easy to lose sight of what agile software development actually is–and how it works. “Waterfalling,” or the waterfall model, was the prevailing form of project management at that time. It’s closely affiliated with Gantt charts and lays out what tasks need to be done at what points in the project in order for the project to move forward. Using this method, software development became incredibly difficult. While the waterfall method relies on predictability and sequence, software developers needed a more flexible project management method that made room for error, bugs, setbacks, and the independence affiliated with the software industry. It wasn’t until the 1970s that a more formal approach to agile took hold, led by Dr. Ernest Edmonds, Tom Gilb, and the New York Telephone Company’s Systems Development Center. The ideas were not widely appreciated. In fact, when Dr. Edmonds presented his idea to the Journal of Computer Aided Design, it was immediately rejected. The sole comment the journal sent back to Edmonds was, “If you don’t know what you are going to do before you start you shouldn’t start!” He then took his work to General Systems, which eventually accepted his work. In the 1990s, software developers were at their wits’ end. This cohort of programmers, largely of the Generation X demographic (born between 1961 and 1983), were “latchkey kids” and carried over their anti-establishment teenaged years to the office. As Craig Larman discovered, developers found waterfall “heavily regulated, regimented, and micro-managed.” It wasn’t working for this cohort. The 90s brought forth many lightweight and versatile project management approaches to software development, including dynamic systems development method (DSDM), XP, Scrum, and feature-driven development (FDD). While all of these systems existed before the Agile Manifesto, they are now considered to be part of the agile methodology. “In order to succeed in the new economy, to move aggressively into the era of e-business, e-commerce, and the web, companies have to rid themselves of their Dilbert manifestations of make-work and arcane policies. This freedom from the inanities of corporate life attracts proponents of Agile Methodologies, and scares the begeebers [sic] (you can’t use the word “sh-t” in a professional paper) out of traditionalists. Quite frankly, the Agile approaches scare corporate bureaucrats—at least those that are happy pushing process for process sake—versus trying to do the best for the “customer” and deliver something timely and tangible and “as promised” because they run out of places to hide. Editor’s note: we edited the original language to be blog appropriate. Perhaps it was the “we don’t know everything, but we do know something” approach to software development that helped the system catch hold. Read the rest of the article on Capterra.com.